Recent years Pisac has become more popular because of its Sunday market. This market is so colorful and diverse it become favorite to the visitors. In many cases people don't visit Pisac ruins, they visit only the market. Most tour packages will offer you only the market visit in Pisac. You can reach Pisac from Cusco by bus. It is a two hours journey. I have listed below the distances from other cities as well, in case you are planning to visit Pisac from other Sacred Valley towns. In Pisac you will find four separate ruins :Pisaqa, Intihuatana, Q'allaqasa, and Kinchiracay. Intihuatana is the same as the one at Machu Picchu. The citadel Q'allaqasa was built onto a natural spur. 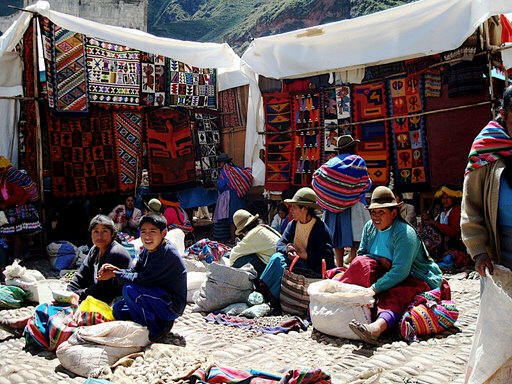 In recent years Pisac market has become very popular specially on Sunday. You may not find any special item there, but you will still enjoy the environment. They say prices of some items are cheap in this market, occasionally!. But the occasion comes so rarely, you should not depend on it. The products that is sold here are mainly clothes. Same thing you can buy from Cusco. If you like something just buy it there, don't wait for the occasions I mentioned above. Tuesday and Thursday are also market day in Pisac, though comparatively less people are present on those days. 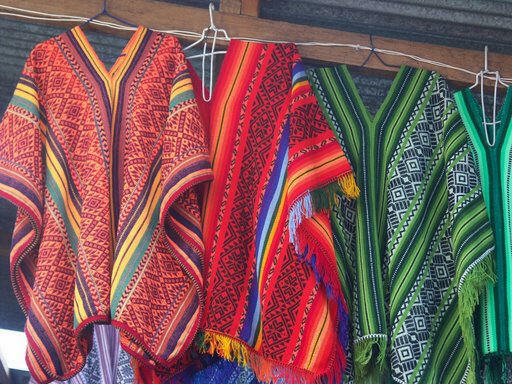 Why Pisac market is so popular ! Once it become popular with touristsm travel agents started to offer tour to this market. Its crowd and color atracted people. Day by day its popularity increased and now on Sundays Pisac Market has become the favourite to Peru trvelers. Local people call this city Ollanta. Ollanta was the general of Pachacuti who won a number of battles for Pachacuti. The vast expansion of empire during the regime of Pachacuti was accomplished by the brave general Ollanta. As a gift Ollanta asked to marry daughter of Pachacuti. But Pachacuti refused, since he was still a commoner to Pachacuti. The general revolted against Pachacuti and imprisoned.